While Boyd gets to know his latest adversary, Raylan and Rachel chase down a new lead on the RICO case. Very few shows have given me the same level of enjoyment Justified has when it’s on the top of its game. “Noblesse Oblige” managed to lift Season 6 to another level, and it did so without a single bullet being fired. The stakes were raised for several characters, and a few cards were played. We certainly now have a better understanding of the kind of man Avery Markham is, and we also know that there’s a big ticking clock on the Marshal’s RICO case. After gushing about Garret Dillahunt’s performance as Ty Walker last week, it’s only fair to do the same for Sam Elliot. Elliot is so subtly menacing in the role of Markham—he’s chilling to watch. Markham is the kind of man who wouldn’t think twice about kidnapping Boyd Crowder’s fiancé to prove a point. I think it’s a really smart choice to give Markham a history with the Crowder clan. It was great to get some callbacks to the show’s past, and Boyd and Markham having a chat while sitting at that table was marvellous. Markham isn’t some random blow-in; he quite clearly has a reputation in Harlan. There was a look on Boyd’s face when he realized who he was talking to, a look that we don’t often see. There was a definite moment of hesitation, followed by a gear shift into recovery mode. Boyd having a moment of doubt tells me all I need to know about Markham. Boyd has been knocked down time and again in the past, but it was still a little shocking to see how vulnerable he was here. He has three other guys in his gang, and none of them were around to stop him from getting snatched by Markham’s goons. That could have been it right there for him, and he full well knows that. The ease that Walker found Ava will also have been troublesome for Boyd. For the moment, he is going to have to play nice with Markham and his boys, but that terrific scene with Hale and Duffy let us know that Boyd isn’t going to lie down that easily. Speaking of Duffy, I loved how cautious he was about Boyd’s late night visit, right down to the little callback to the “cigarette pack bomb.” Duffy is right to be cautious though, as I have a feeling that his name and Hale’s will be next on Boyd’s list once Markham is dealt with. But that’s what I love about this season so far; there are so many different ways this could go, and it’s probably impossible to predict exactly what’s going to happen. Raylan spent most of this episode chasing up a lead on Boyd’s explosives, but it wasn’t any less riveting. There’s some serious pressure on the RICO case, and Vasquez is clearly becoming a little desperate for results. This adds a little bit more tension to Raylan’s side of things, although the numerous mentions of his child provide plenty of tension on their own. Raylan and Rachel have always had a great back and forth dynamic, so I enjoyed seeing them follow up on this lead together. Rachel is taking her new position well in stride, but she’s also feeling a little bit of the stress that comes with trying to keep Raylan Givens on a short leash. The lead they were investigating ended up being an old buddy of Raylan’s that dug coal with him and Boyd back in the day. 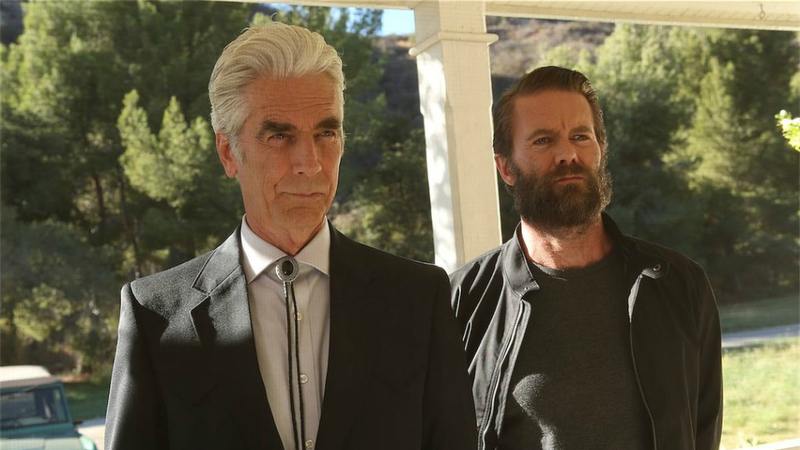 Justified has used the Harlan lifestyle perfectly over the years, and I’ve always appreciated the fact that a vast majority of the random characters somehow get fleshed out in their short appearances. Who is going to be the next big character to bite the dust? Tweet who you think is a goner @OldSnake24 or leave a comment below. Also, be sure to follow us @YouNerded.